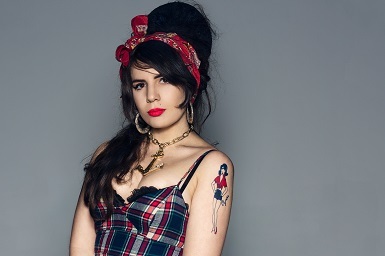 The Araluen Arts Centre kicks off its 2017 theatre season with Frankly Winehouse, a tribute to English singer/songwriter Amy Winehouse. Frankly Winehouse is an amazing musical experience that features all the soul, sass and vulnerability of the late Amy Winehouse. Melbourne performer Ashleigh Kreveld paints a stunning portrait of Amy Winehouse and evokes the spirit of an incredible artist the world lost too soon. After a sold-out Perth season in 2016, Frankly Winehouse will be on stage at the Araluen Arts Centre on Saturday 4 February at 8.00pm. Tickets are available online at www.araluenartscentre.nt.gov.au or from the Araluen Box Office on (08) 8951 1122.